Lord's today is not on its original site, being the third of three grounds that Lord established between 1787 and 1814. His first ground, now referred to as Lord's Old Ground, was where Dorset Square now stands. His second ground, Lord's Middle Ground, was used from 1811 to 1813 before being abandoned to make way for the construction through its outfield of the Regent's Canal. The present Lord's ground is about 250 yards (230 m) north-west of the site of the Middle Ground. The ground can hold 28,000 spectators. Proposals are being developed to increase capacity and amenity. 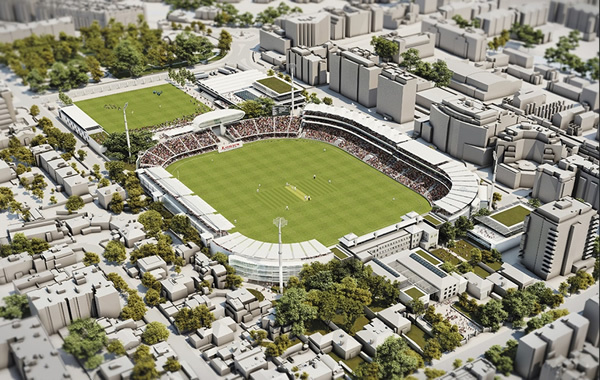 As of December 2013, it was proposed to redevelop the ground at a cost of around £200 million over a 14-year period. New Zealand Matches Travel & Tour Packages for Cricket World Cup 2019. Best Viewed at 1024 x 768 pixels and above. This Page loaded in 0.08871 seconds on Mon, Apr 22, 2019 (23:59).